The Easter story doesn't stop at Good Friday when Jesus was placed on the cross. Today we learned more about the stations of the cross as Father Tom mentioned it in Mass - we were curious as to what it meant! Then we learned that actually, when Jesus rose again, he brought with him new life! We discussed what new life could mean and added flowers to our crosses. They have gone home this Easter to remind us all of the plight Jesus went through. Welcome to the Year 2 chocolate shop 2019! On Wednesday, Mrs Kelly opened the Year 2 Chocolate shop! We counted out money for our 'till' and made our shops look as appealing as possible to the customers. Then, at 2:30, the customers arrived and we sold out of chocolates! Thank you families for showing us so much support! Now the children must decide what to do with the money! Interested in the Summer Term spellings? Click here to access the upcoming spellings, following on from the Spring Term. Making our chocolates for our chocolate shop! We learned that solids become liquids when we heat them! We followed our design brief and made our chocolates. They look delicious! We are busily preparing for our chocolate shop at the moment. We looked at different packaging and saw how they all had the same logo or colours. Then we made our own labels for our bags! Next stop: making the chocolates! Reading from the Bible, Jesus washing the Disciple's feet. 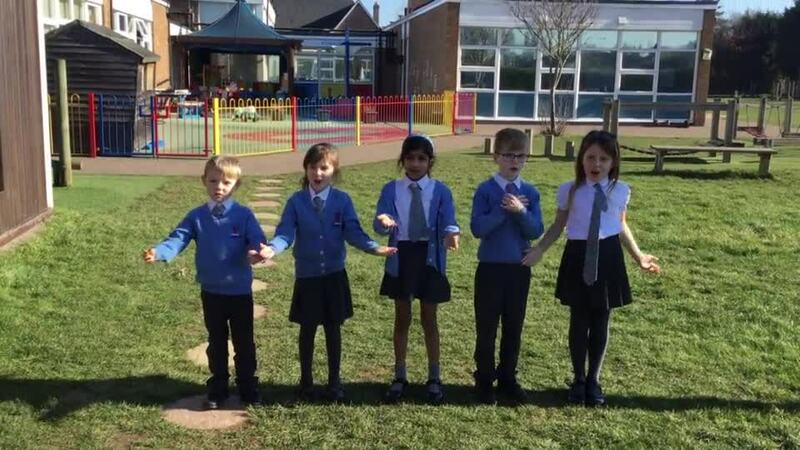 Acting out the events of Palm Sunday - we made our own palm leaves and took it in turns to act the story from the Bible. We have created our own chocolate business. We looked at company names and logos and designed our own as a team. We used democracy within our groups to decide fairly. Chocolate making day with the Chappel Chocolate House! We made our very own Chocolate lollies! This week our guided group was on triangles and making them on peg boards. We knew which were regular and irregular and investigated how many triangles we could make! Welcome back to Spring 2! Homework available here. We love quiz of the week in Year 2, so we designed oru own questions and answers about internet Safety for Safer Internet Day. I wonder... Can you score 10/10 on our class quiz? What happens when we cough or sneeze into the air or our hands? We investigated today with our 'germs'. We acted out being at a food factory and sneezing. We shook hands and high fived our workers. Then we continued to make our food. The germs spread everywhere. As scientists, we discussed how we kill germs and why. We washed our hands thoroughly and discussed how we wash our hands before eating and why. Why do we exercise? During our P.E cool down, we reflected on why exercise is important. We sorted the cards into true and not true. We were shocked to find out they were all true and in fact exercise helps us at school and to sleep! How do we know if the food we choose to eat is healthy? Well, we looked at packaging in Miss Spratt's shopping to investigate how products show us! We noticed there are traffic lights to show us if it is good for fat, sugars and salt. Finally, we designed our own healthy eating day! On 1.2.19, we explored the next stage of getting chocolate we have today, in the form of sweet hot chocolate. It was still expensive but rich people could get their hot chocolate in cafes. We looked at some cafe paintings of art greats: Renoir and Van Gogh and compared the feelings. Some said the oranges, reds and purples made them feel warm like the hot chocolate. Others liked how Van Gogh uses yellows and blues in his work. We then used water colour to paint our own cafe, mixing colours to recreate our own cafe in either the colours of Van Gogh or Renoir. Homework for W.B 28.1.19 here. Homework for W.B 21.1.19 available here. We've been learning about the Bible as part of our topic 'Books'. We read the Bible and found the 4 Gospels in the New Testament. We then read stories from the different Gospels and acted them out! Homework for w.c 14.1.19 available here. As part of our new R.E Come and See topic, we looked at different types of books and shared our favourites! We asked questions to our partners after we read them. Where does chocolate grow? We used an atlas today to see what we noticed! Welcome back after the holidays! Homework for W/C 7.1.18 available here. Interested in knowing the Spring term's spelling words to be learned? Click here to see all the homework words. Order of words and non-highlighted words may change. As Christmas Day approaches, we have been thinking about God's gift to us: Jesus. We made our nativity scene with different colours to show our feelings of love, joy, hope and peace that Jesus brought us. Here are our final Nativity scenes in front of the Hall Christmas tree. Happy birthday Angel and Midnight! They were 1 years old this week! We had a celebratory carrot at their party! H made a card that was very appreciated by Midnight! A sneaky peek at the Nativity! Homework w/c 3.12.18 here with additional mathematics on the letter this week. On 21.11.18 we made our own version of nail soup (minus the nail) from out Pie Corbett! We chose our ingredients in our groups and tasted the soups. Then we evaluated it. Some of us were unsure what vegetable soup would taste like but loved it and had a second helping! We investigated the properties of paper to make a strong drawbridge for a castle! We made it a fair test by have the same amount of paper, tape and time. We then used the same weights in the same order to test the strength of our drawbridges. We folded, rolled and scrunched the paper to make it as strong as possible! In Science, we investigated strength of materials. We predicted which material would be strongest and tested by adding weights. Here we made it a fair test by having the same size paper and used the same size weights each time. Then we recorded our work as a graph! This week we went to see Father Tom to have a Baptism for Baby Rose Poppy. We learned about the different parts of Baptism. Back in class, we acted putting on the white garment and what it symbolizes. Finally we spoke about what it means to live more like Jesus. Extra extra! Additional homework here. It is an optional extra! We visited the St Teresa's Local History museum (in our resources room) and explored items from WW1 and WW2. We asked questions and discussed how we knew it was the past. Today we looked at the battlefield of WW1 and used water colours to create different feelings in our battlefield silhouette pictures. Some made us feel sad and some made us feel happy the Great War was over. Here are some examples. Wow! The outfits today were incredible! Today we learned a little bit about World War 1 and tried on helmets for the different countries involved. We thought about poppies and why it is important to remember those who have served or who are serving. Homework w/c 30.10.18 here. Do not forget it is dress up day on 30.10.18 for Remembrance and bring in a bottle bottom to make a recycled poppy. A huge well done to everyone who took part in our Family Tree homework! This week we shared our family trees with each other and discussed what succession means. We then used our British Values to vote for the tree we thought was the best effort. All the adults in Year 2 and around the school think the effort the parents and children went to was fabulous to help their learning. Thank you to all! Today we acted out Shabbat, the Jewish celebration on a Friday. We role played cleaning and tidying until 6pm. Then we lit our (LED) candles and shared the Challah bread the children made! Making Challah bread for Judaism week. We focused on hygiene too! We didn't like the feel of the bread but hopefully it will taste nice tomorrow when we act out Shabbat. Ordering numbers outside the classroom! Today 19.9.18, we looked at Psalm 139 and how God is with us at the start of every new beginning. 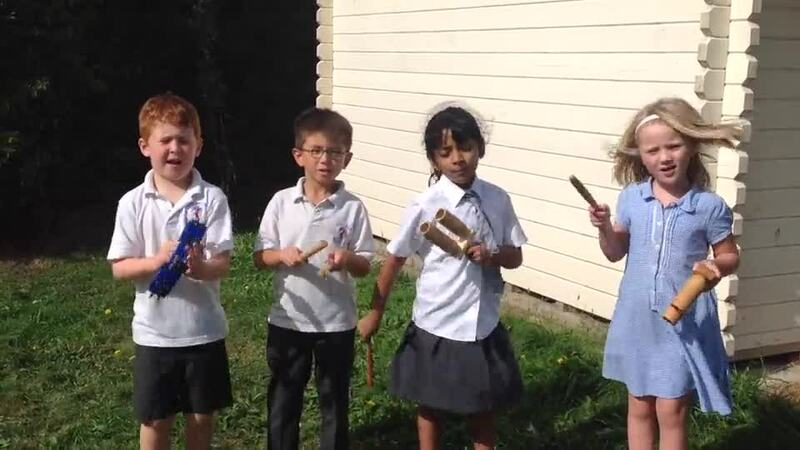 We created music to go with the song like Mrs Wilson does at Mass and performed them to each other with all our hearts to show our love to God. Scroll down to see one group perform to you! This week we have learnt about Motte and Bailey castles - the first types of castles in Britain. We know why they are not around anymore - because they were made of wood! We used our 3D art skills to make a Motte and Bailey castle using the terminology. The castles are AMAZING and stand very proudly in our Year 2 corridor! This week's homework sheet available here. 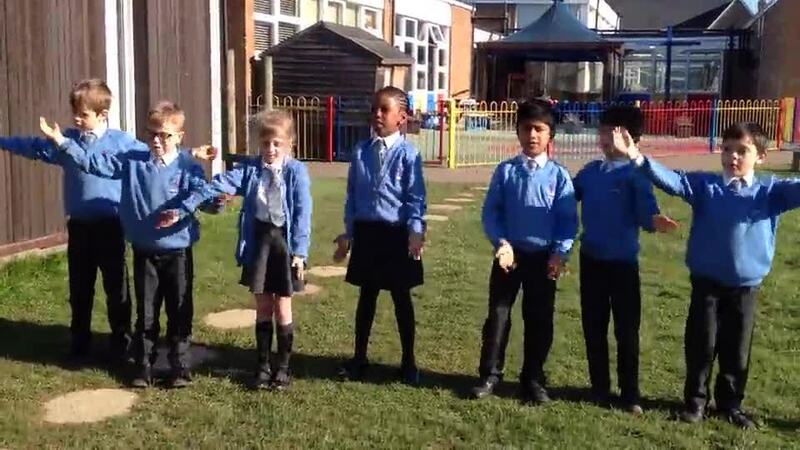 We have been comparing numbers today (17.9.18) using this song https://www.youtube.com/watch?v=M6Efzu2slaI I wonder, can you compare numbers using < or > this week at home? We've been looking at New Beginnings in R.E, our new beginning in Year 2! Through British Values learning, we focused on being individual and each of us unique! Today we looked at the value of numbers, explaining why there is a 3 in 36! We used the Numicon and Base 10, then compared them! Bailey and Hayley gave a wonderful explanation using their 100 square and Numicon! We were all really impressed at the mathematical language they used! Welcome to Year 2, 2018-2019! We are very much looking forward to an exciting year ahead! Today we 'visited' (made) islands in our pirate ships. We used different materials. We learned about the geographical features and created them where we thought they would naturally occur. (Or where the marble ran!) Now we are drawing a bird's eye view of our new islands. Ah me hearties! Homework for 9.7.18 available here! Our last here homework of Year 2! Today in maths we solved a multi-step problem and found out there was more than one answer! Sometimes this happens in maths! We had to reason what the largest and smallest possibilities could be too! Homework for this week available here. We used our journey sticks to create linear maps and then real maps of Walton! Have a look - the children in Year 2 can now use symbols and maps! Our trip to Walton and the RNLI! we made journey sticks, played and learned about how to stay safe in the water. A HUGE thank you to all the adult helpers who made the day run so smoothly! Homework for 18.6.18 available here! Today is Art Day 2018! We went to a special workshop to use our STEM and D.T skills. We worked as a team and used so much mathematical language! Martin couldn't believe how much we knew about shapes! We made a giant tower in the playground which Sam compared to the Orbital in London! after break, we then learned a new skill: pointillism. We focus on our UN Goal 15 - life of the land and the importance of looking after everything on the planet that God so kindly created for us. Here is some pointillism work by Thomas, Elli, William, Sam, Hayden and Eoinn! Peter came to Jesus and asked, "If my friends keeps hurting him, how many times should I forgive him? Seven times?" We then thought about all the ways Jesus has taught us to forgive and we wrote stepping stones for forgiveness. Ellie and Aisling acted it out for us, showing us their angry feelings but then forgiving one another using our stepping stones. Welcome back after the holidays! Here's this week's homework. Using art and D.T skills to make desert islands in clay! We used different tools to create textures. We will paint them Friday! This week's homework available here. Letters have gone home today about our trip in June to the beach! We have Royal Wedding fever! We designed a patch for our class patch work wedding dress for Meghan Markle! There's a sneaky peak at our dress on the slide show! We then put our design onto fabric and sewed them together! On Thursday and Friday (10th and 11th May) we looked at art by Turner. We thought about how his work makes us feel, then we use water colours to recreate, or change, his inspiration into collage! I wonder, how do you feel looking at the children's art? Today, 2.5.18, we learned all about Pentecost and reflected on what it means to us as well as the Disciples at the time! This week we have been coding our partners tghrough a maze using left, right, straight, 90 degrees and quarter turns! WOW! Year 2 have been drawing ships as part of our new topic: Land Ahoy! Do you want to practice times tables at home this Easter holiday? Visit: https://www.topmarks.co.uk/maths-games/7-11-years/times-tables for free games that are tablet compatible! Celebrating Palm Sunday as a school with a very special visitor! A big thank you to our class photographer - Sam! We made crosses to celebrate Jesus and the new life Easter Sunday brings! Have a look at our creations! Our Class walk, 22.3.18 looking for signs of Spring, living, once lived and non-living things! Today, 21.3.18, we represented non-unit fractions using Numicon. Can you see the relationship between denominators, numerators and the Numicon representations? We're using our adorable rabbits for descriptive writing tomorrow. I wonder... what do they look like? What do they feel like? Where do they live and what does that look like? In R.E this week, we have looked at Palm Sunday and Maundy Thursday. 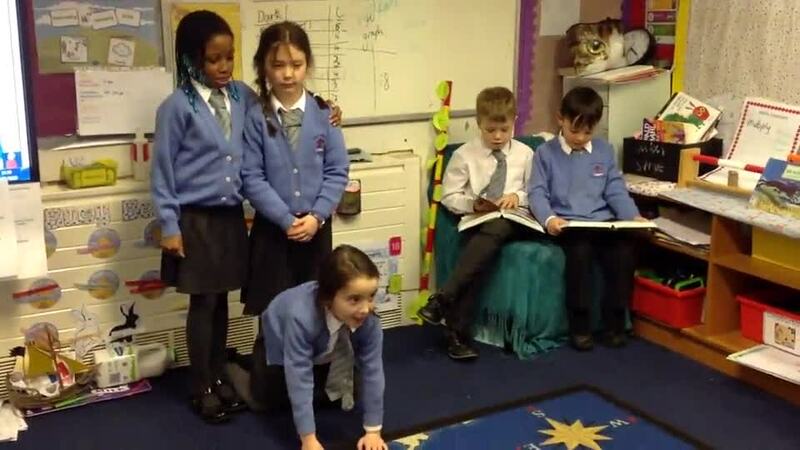 We looked at what Mark and John wrote in the bible, then acted it out. We made our own palm leaves to lay before Jesus and wave at Him as we shouted 'Hosanna'. Do you want extra maths to challenge your brain this week? Then have a go at this problem from the White Rose Maths Hub. Can you solve the problem? We are learning a new story for our Pie Corbett English learning - The Greedy Fox! What action is Joe doing? Homework and overview of the week available here. Recommended Reading List for Year 2 in addition to the colour banded books in class. Food Chains outside the classroom! We learned about food chains today! Here is a good game to play to learn more about food chains!. This week's homework is available here. 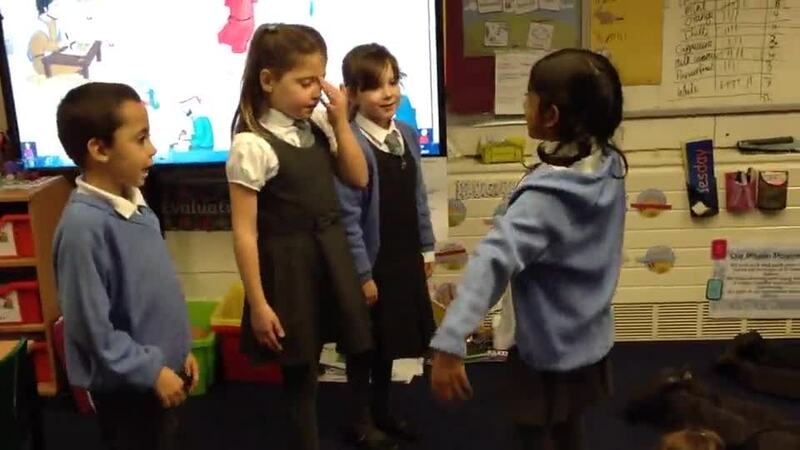 Dancing like animals to coincide with our topic of 'Going Wild'! Want to do some extra times tables work? Visit this website and see how many you can do in 1 minute! Our trip to Pets at Home 26.1.18! Thank you Emily and Lewis at Pets at Home, the rabbits, guinea pigs, hamsters, bearded dragons and finally to our parent volunteers. We had a brilliant trip thanks to you! We became the characters of our English text today - Cat, Bramble and Heron! Here are some pictures of us in action! Kyle performed his play to the class! Here they are in action! Our new story from a familiar setting that we are learning is: Cat, Brambles and Heron. This ties in with our theme this half term of Going Wild! Sharing our favourite books! Our new topic in Come and See R.E is books! We brought in our favourite books, shared them and then made a collage of how books make us feel! Some books made us feel shiny, some books fill our heads with fireworks and other books take us on a wibbly wobbly journey! We are having a money week this week! If you would like to complete additional homework, this weblink has lots of money games to help your child understand money! We recapped place value today (3.1.18)and played this game! Click HERE to access the game at home and teach your parents about place value! Today, 20.12.17, we discussed how God gave us Jesus. Jesus brings us peace and love and we discussed how we will try our hardest to show peace and love at home this Christmas holidays! We can't wait to see you all in January! Enjoy the Christmas break! Miss S, Mrs S and Miss B! Toothless couldn't fly! We helped him today by making levers to control his wings for him! Inverse - reverse! Look at Elli doing her inverses! Making advent wreaths - Year 2 now know the meaning of the Advent wreath! When we came to school this morning, the classroom had been left in a humongous mess! We kept seeing strange things happening out of the window and discovered it was Scarlet the Dragon! We decided to catch her as a team and tell her nicely to "STOP! It's hurting our feelings!" Scarlet apologized and we then wrote amazing instructions on How to Catch a Dragon! Here we are hiding from Scarlet after we set our trap! Another super day of maths learning ambassadors in Year 2 today! Here Isabella and Klaudia are teaching the group how to subtract on a number line by partitioning and using Numicon! There was a lot to remember and they taught the group really fluently. Well done girls! Lexi was our Learning Ambassador in maths today! Here she is showing Imogen how to subtract the tens, then subtract the ones! Well done Lexi! Paschal baptized our baby 'Ollie' at church today. We learned about all the signs and symbols of a baptism. Thank you for showing us the signs and symbols of baptism Paschal! All the children are looking forward to showing their parents about the signs and symbols of baptism in our Come and See class assembly on Friday (in our PJs for Children in Need) at 9:15! We are learning a new Pie Corbett - The Three Billy Goat's Gruff! I wonder, what action are we doing here? Hedingham Castle visit 2017 - learning about castles and medieval life in a castle! What a fantastic day we had! Well done and a big THANK YOU to all the parents and carers who took part in our family tree home learning challenge! The children did such an amazing job and we loved looking at them this afternoon! Miss Clark had such a hard job judging them! They are all displayed in our corridor if you'd like to look at them. Thank you all once again! Today we were using less than < and greater than > to compare numbers. Rebecca, Sion, Jacque, Kyle and Joe worked outside the classroom to compare numbers on the tiles! Do you know how to stay safe online? Year 2 do! On Wednesday 27th September, Paschal visited us in the prayer garden and we read our prayers to him. We also learned two songs about God and learned about why we pray at the beginning of the day! Thank you for coming to visit us Paschal! Our topic this half term is... Castles! It was European languages day today. We had a carousel of activities exploring countries from Europe and ended the day with a royal tea party with European foods! Which was your favourite food? We've been working on counting and sequences today! Here we are learning outside the classroom! Want to know more about castles? We have been learning a non-fiction text using Pie Corbett! We now know the whole text! I wonder, what word are the children acting out? Swimming starts this Friday, the 15th September! We have been consolidating our Phase 5 spellings this half term. Phonics Play has some brilliant free games for your child to play!